The key difference is that trans communities are primarily organized around gender identity and presentation while gay, lesbian, and bisexual communities are primarily organized around sexual identity and/or orientation. Some people who identify as trans also identify as gay, lesbian, bisexual, or as some other sexual orientation. However, many of our perceptions around sexual orientation are also strongly connected with our conception of gender. 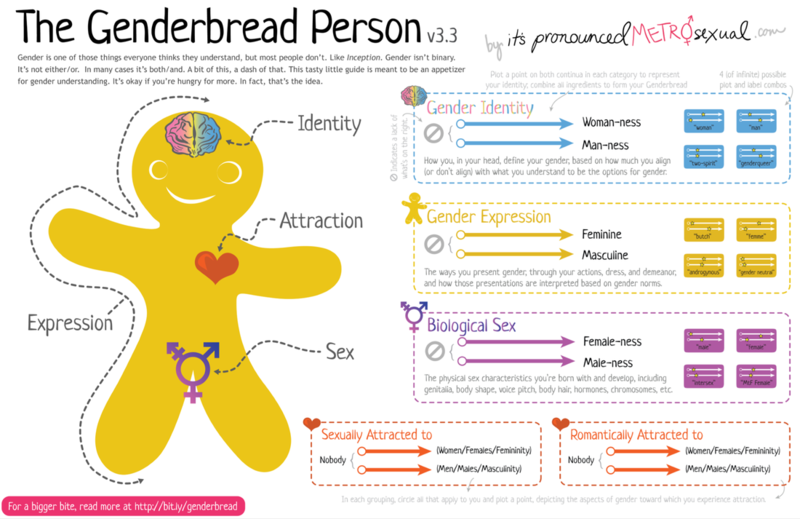 There are several ways by which to visualize gender and sexual orientation, and the "Genderbread Person" is only one model by which to illustrate the complexity of gender. Check out this file to explore a few alternative gender theories. Next: What do trans people have to do with me? See a word you've never seen before? Check out the definitions page.